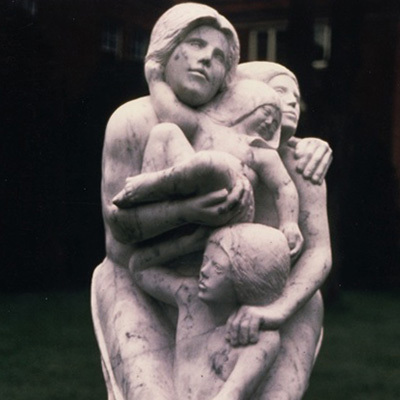 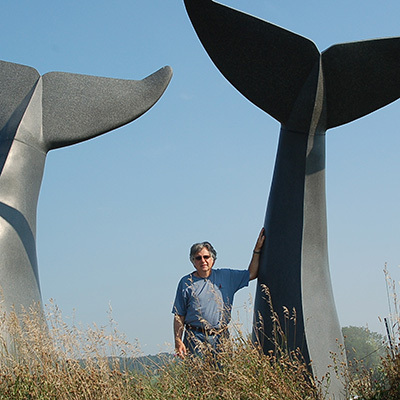 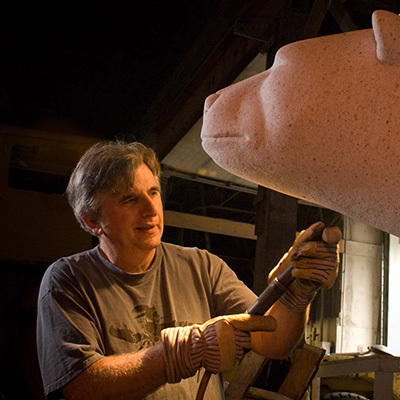 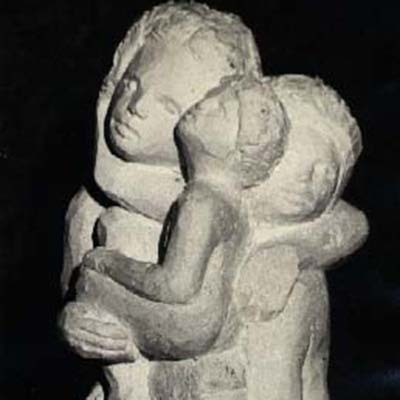 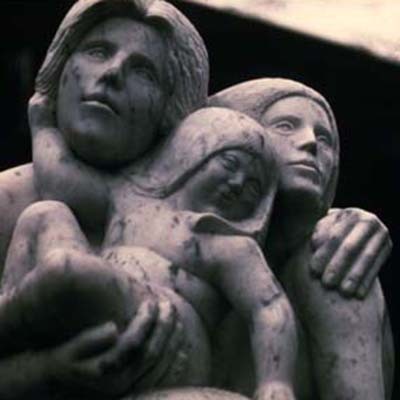 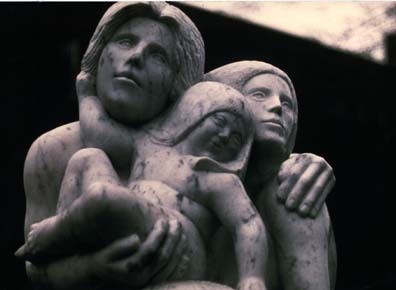 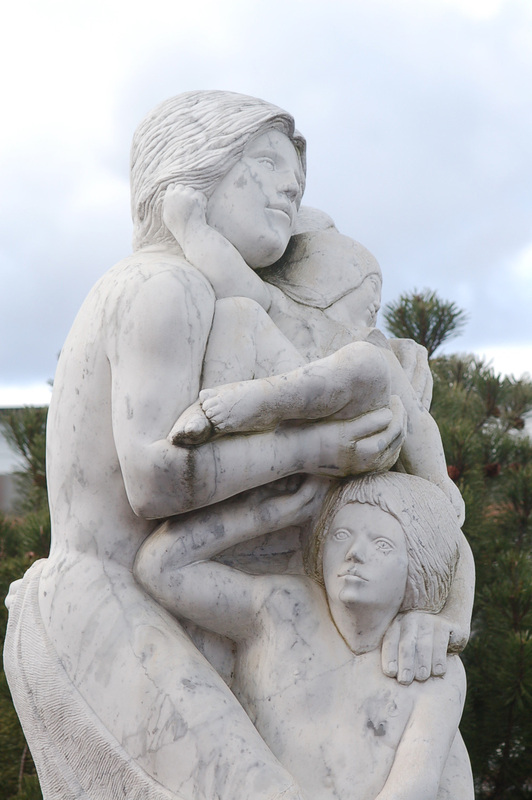 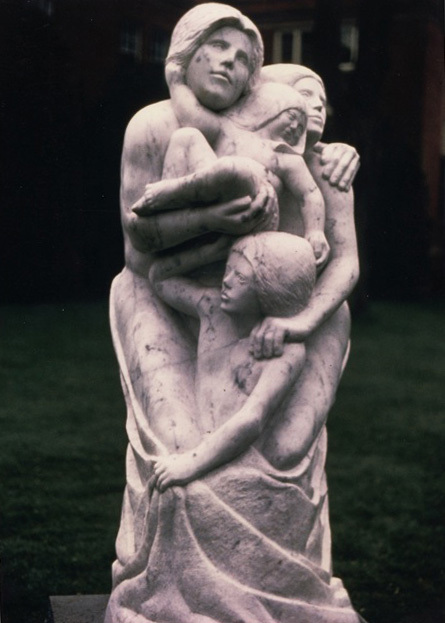 The sculpture is named Vermont Family, a design in Marble to capture the bonds between health and families. 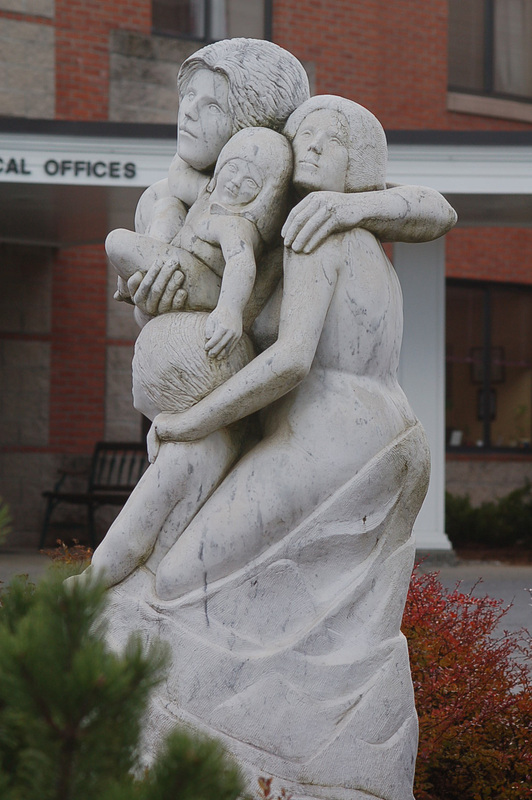 Location: Gifford Medical Center, Randolph, VT. 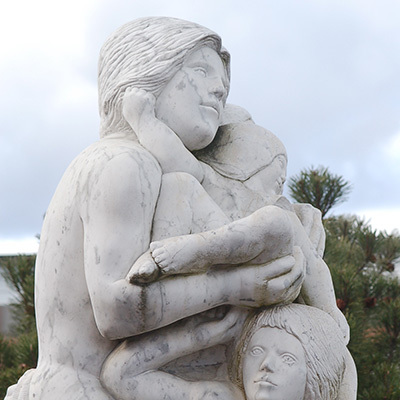 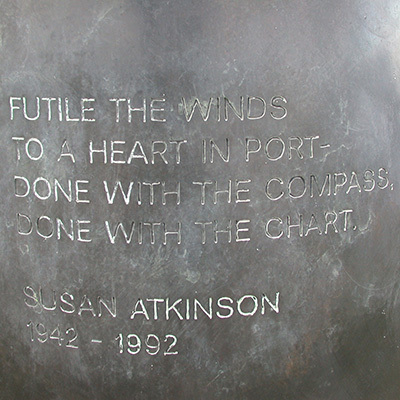 Directions: This piece is accesible to the public. 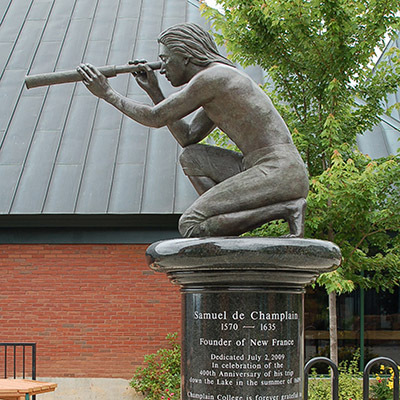 Main Street in Randolph (Exit 4 on I 89). 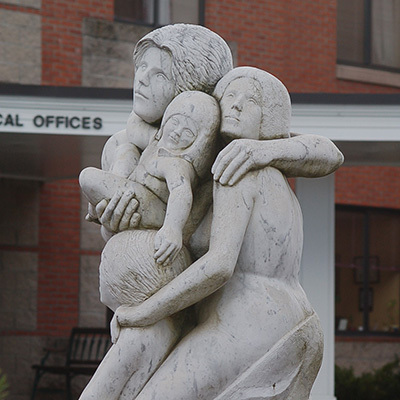 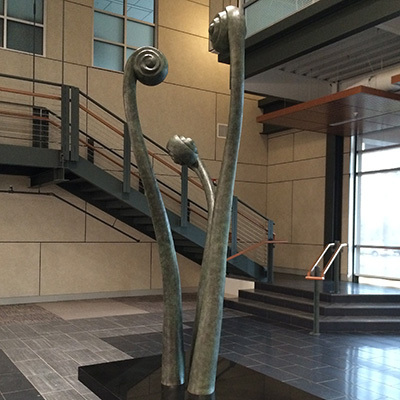 Sculpture is in front of Hospital entrance. 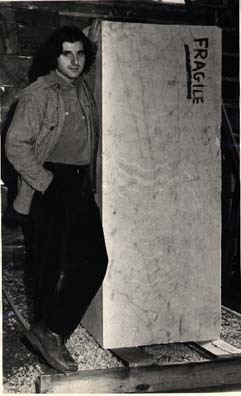 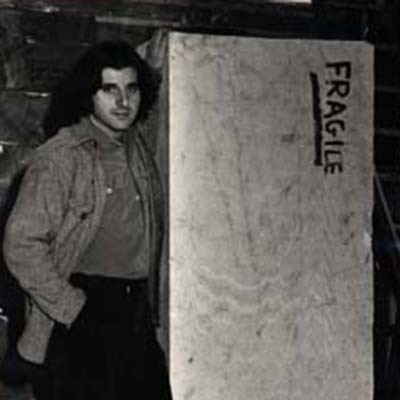 Jim with Original Block of Carrara Marble.